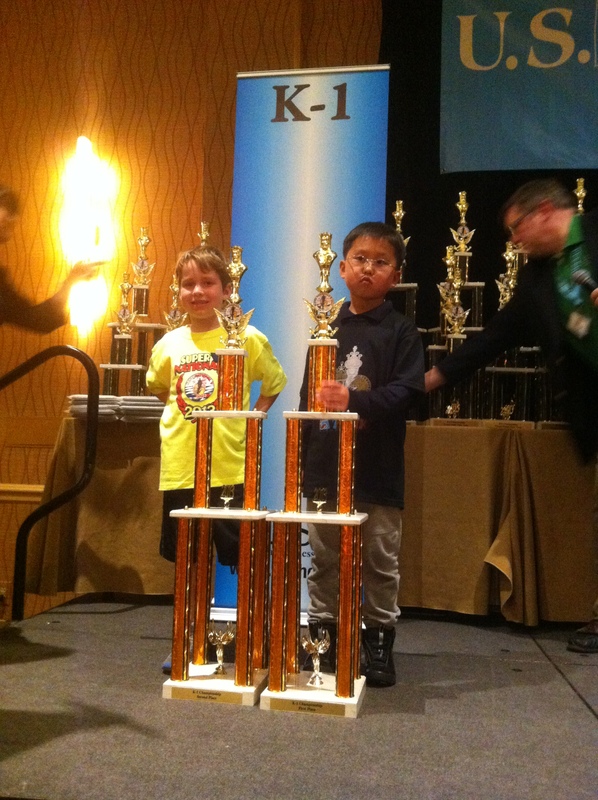 Drew and Chinguun receive their trophies for winning the K1 National Championship. Drew and Chinguun did not get a chance to play each other in April, because entering the last round, there were four undefeated players. 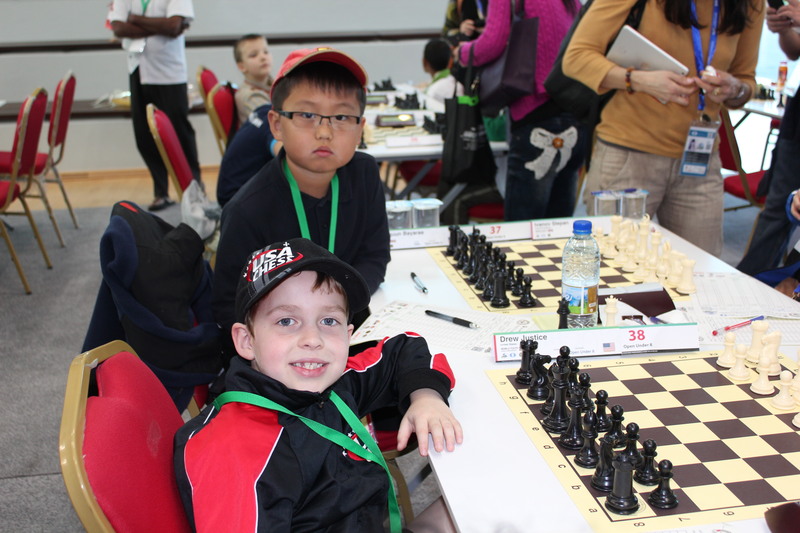 Since arriving here for the World Youth tournament, Drew has had the chance to get to know Chinguun as a team mate and play mate. They have played soccer, American football, and eaten together at lunch. They have sat side by side in the tournament hall, representing their country against players from across the globe. Drew and Chinguun just before the start of round 7. 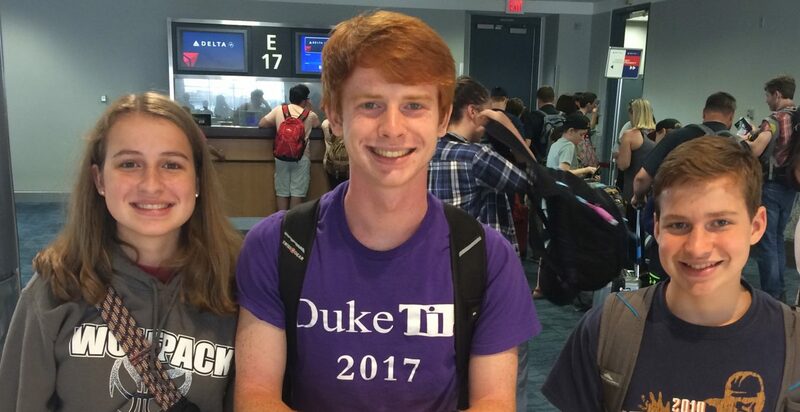 Unfortunately, when traveling for a tournament, you sometimes get paired against players from home, as we have seen in national tournaments when we have had to face other players from Georgia. And here, although we are all representing Team USA, tomorrow Drew will face Chinguun over the board for the first time. Both players have a total of 4.5 points; Chinguun defeated Atai Shatenov from Kyrgyzstan today, while Drew lost to Leon Mendonca from India. Drew’s 9th round opponent, Leon Mendonca from India. Drew played another solid opening but dropped a pawn in the middle game. As GM Nick de Firmian told him during game analysis, “If you like your cookies, you need to hold onto them!” Entering the endgame down a pawn proved to be an insurmountable deficit. Drew attempted to trade off his pawns to achieve a drawn position, but he allowed his opponent’s knight to get behind his pawns, and it was all over from there. I love how the Lord often brings things full circle in my life. One of the lessons that I keep coming back to is that it is the small things that count. A smile, a hug, a word of encouragement — these little gestures can make all the difference in the world — paying attention to the details, ministering to the “least of these,” and maintaining perspective on our importance in the grander scheme of life. After all, those pawns sure can be valuable. 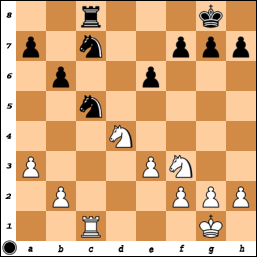 Ra8 — although this move makes the rook passive, it is necessary to protect the a pawn due to the threat of Nc6. 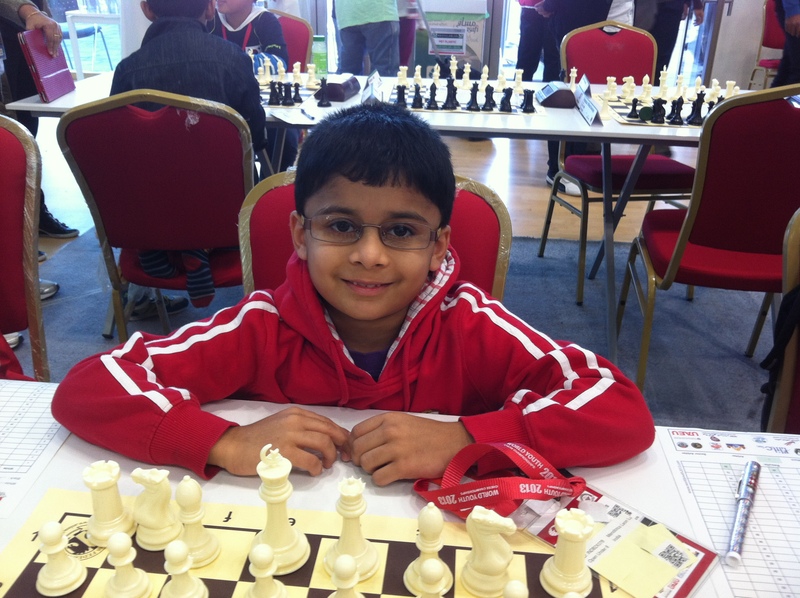 Drew moved Rd8 which proved to be one of the decisive moves of the game. Play proceeded with 21. Nc6 Rd6 22. Nxa7 and Drew is down a pawn. Love your reports! Tell the little rascals I said “hi!” (And that I wish I was there playing bughouse too!) Good luck Drew, just remain clam and observant, you’re doing great! Your family is such a great team! You all make GA proud.